Samwok Workshop has created another incredible custom-made action figure. 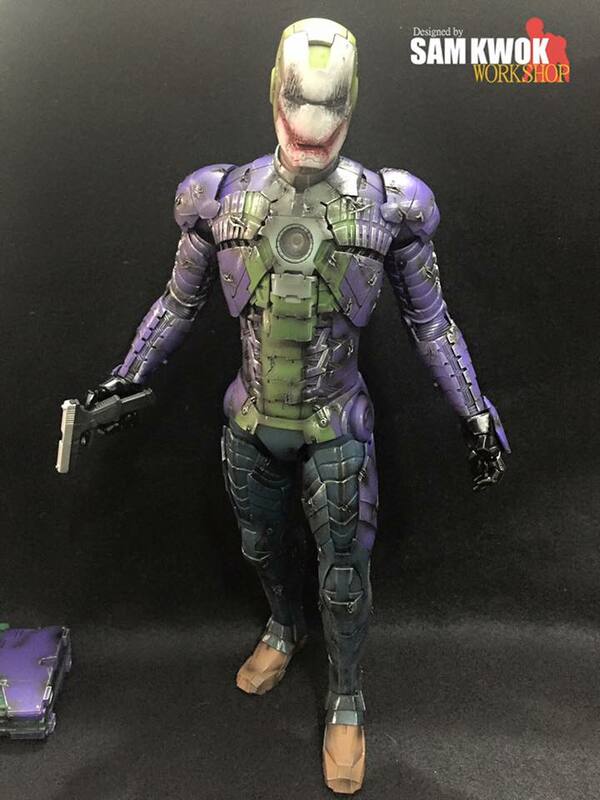 This one mashes together Hoy Toys' Iron Man Mark V armor with the look of The Joker. I love how this one turned out. It has a very cool and sinister look. 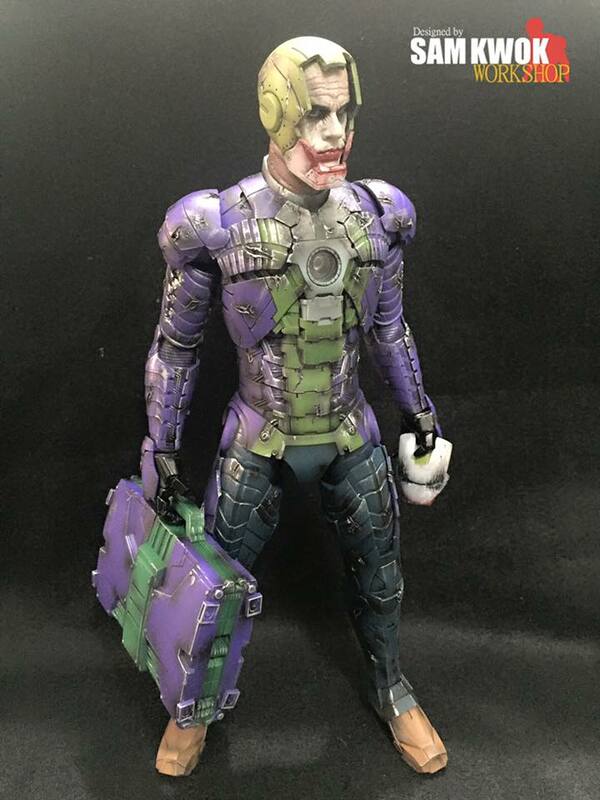 That doesn’t look like a Joker that Batman would want to mess with. You can see some of their previous work at the following links: Tron Iron Man; Iron Man Alien Xenomorph; Buzz Lightyear and Iron Man; and Batman and Deadpool Iron Man figures.